Malawi relies on agriculture for food and cash crop requirements despite progress in other economic sectors such as mining and tourism. Agriculture contributes 88% to the national gross domestic product and employs 88% of the population. Agricultural advisory services play a crucial role in the country’s development agenda. Provision of agricultural advisory services in Malawi is no longer a monopoly of the public sector. With democratic dispensation, Malawi has witnessed increased participation of private, civil society, local and international non governmental organizations in the provision of agricultural advisory services. This has broaden resource base for agricultural extension services, provided diversity of extension service providers to farmers among the many benefits. However, involvement of many players in the provision of agricultural advisory services has created some challenges alongside the benefits. One of the challenges is inadequate coordination among providers of agricultural advisory services which has resulted in conflicting messages to farming communities and duplication of services among some. It is against this background that the African Forum for Agricultural Advisory Services – Malawi Chapter was established. 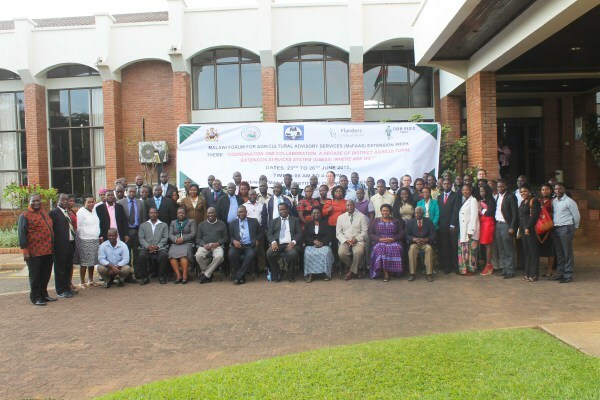 Malawi Forum for Agricultural Advisory Services (MaFAAS) is a platform for strengthening agricultural extension and advisory service through information sharing and action to achieve professionalization, standardization and quality assurance.